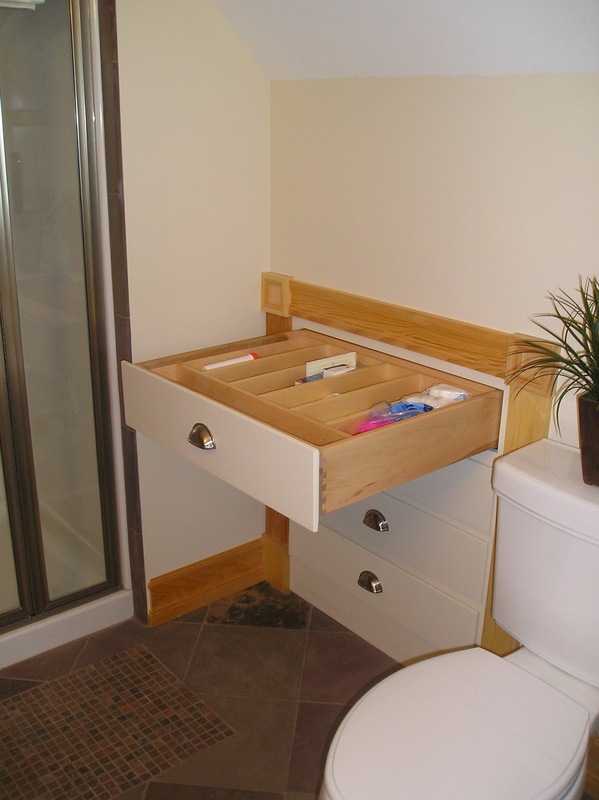 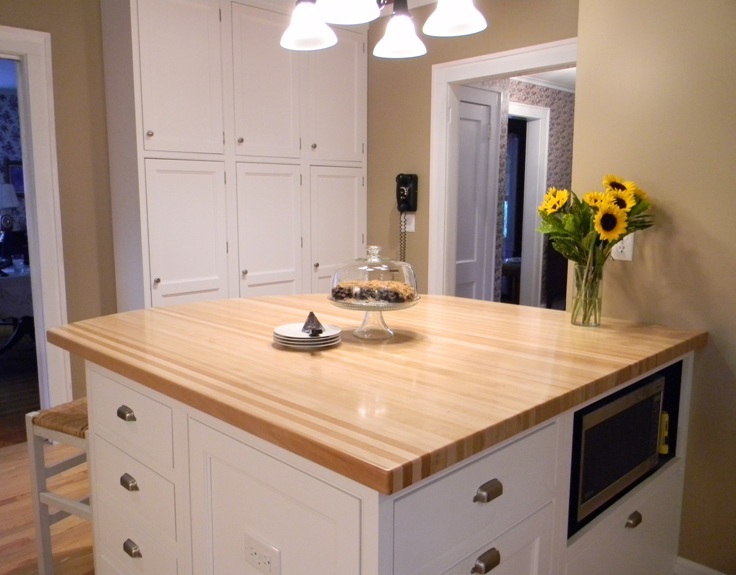 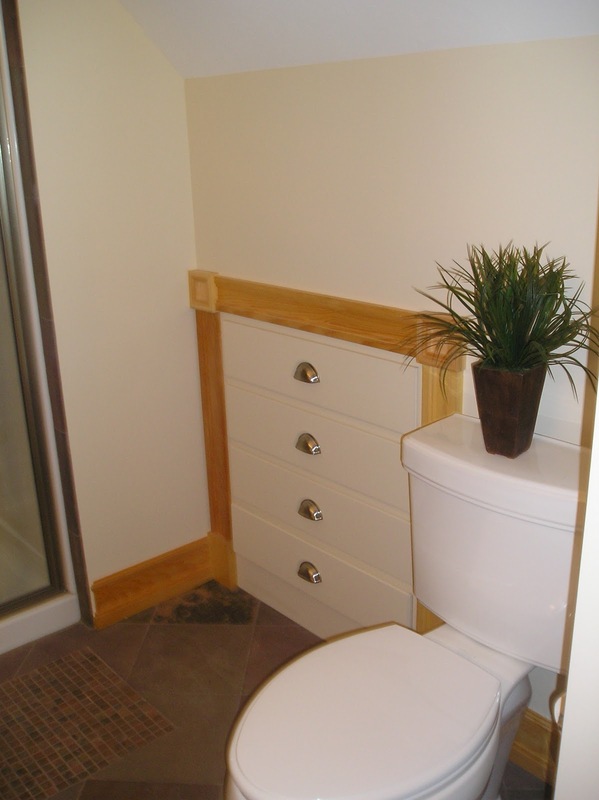 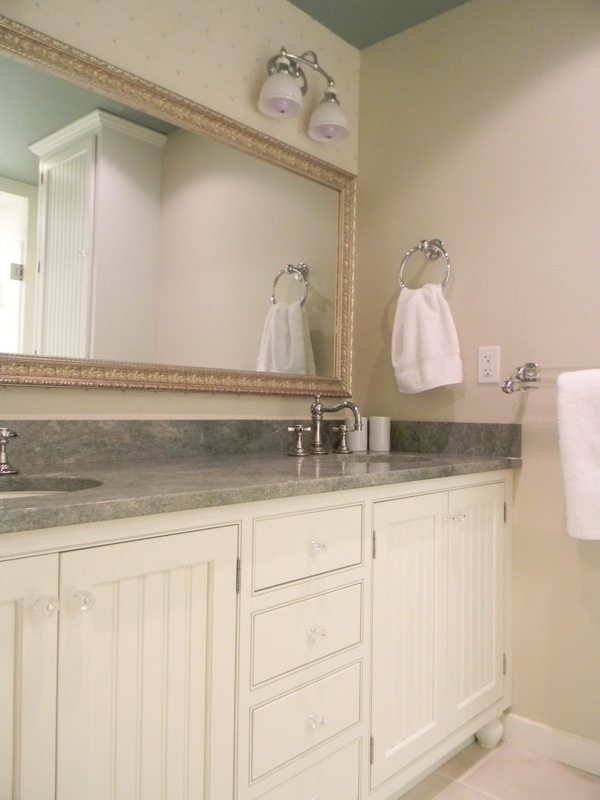 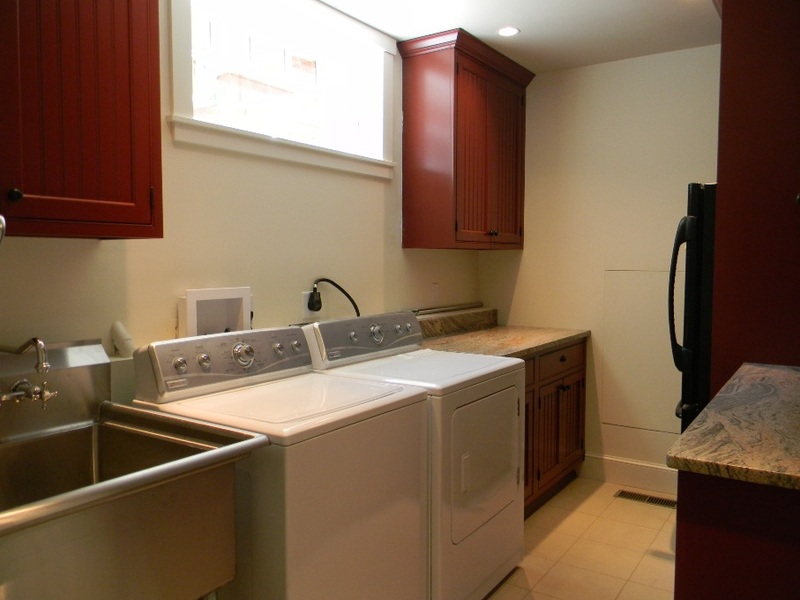 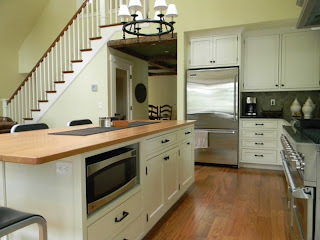 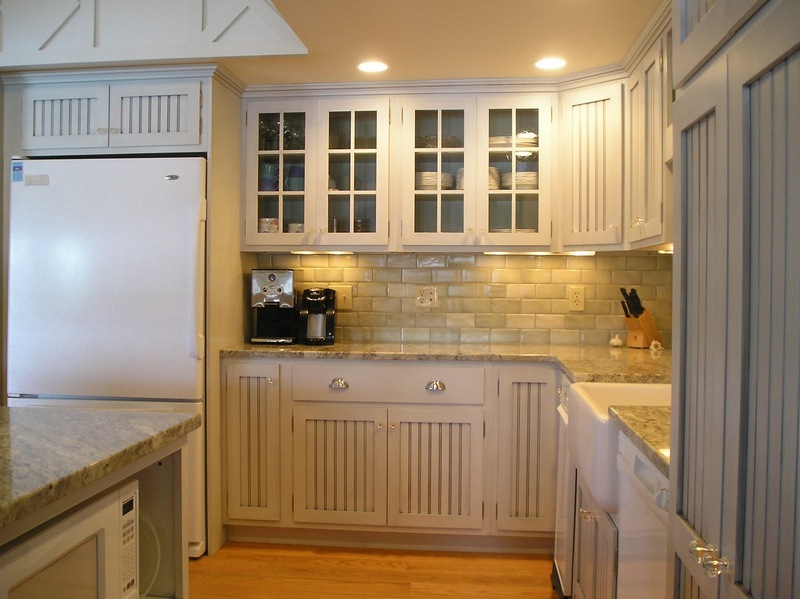 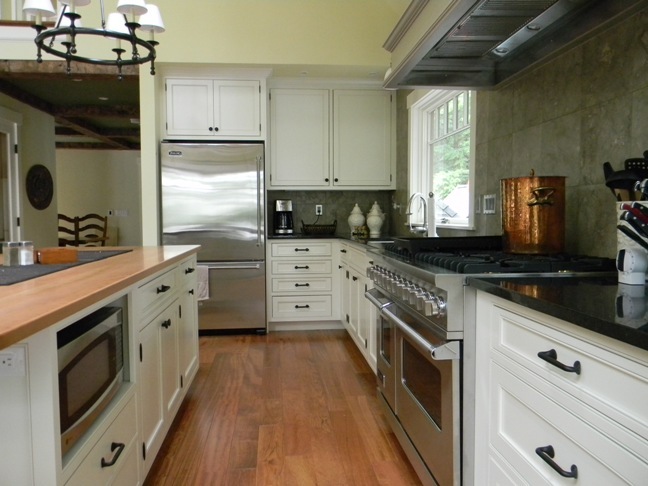 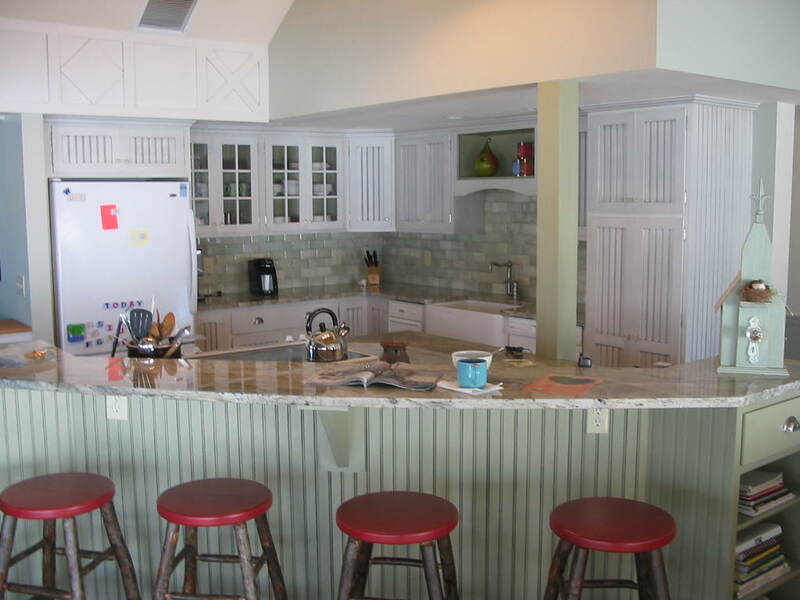 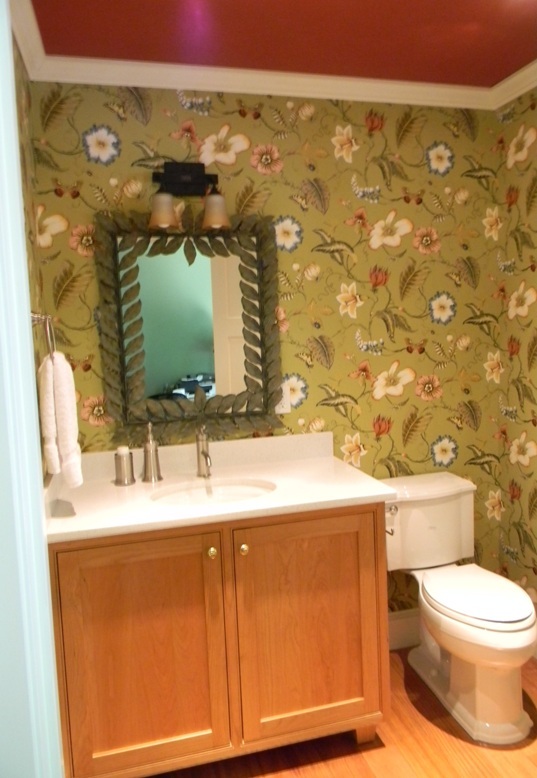 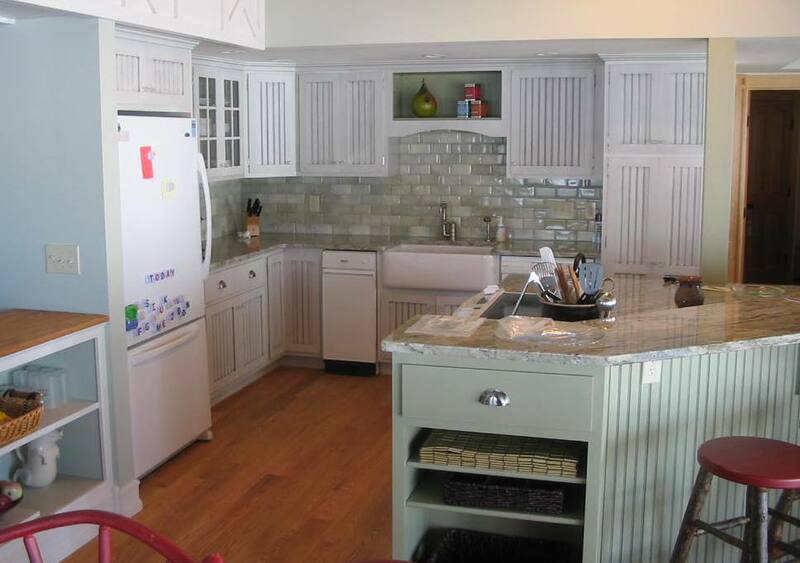 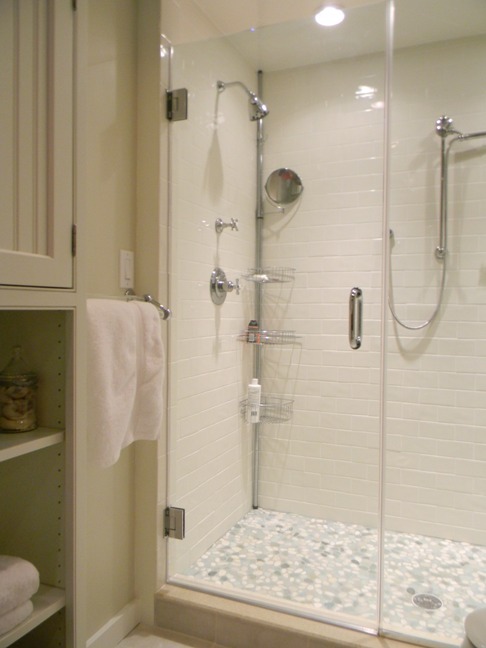 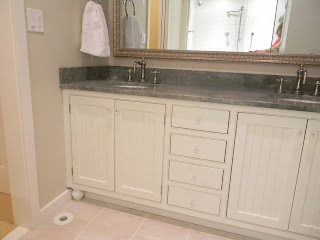 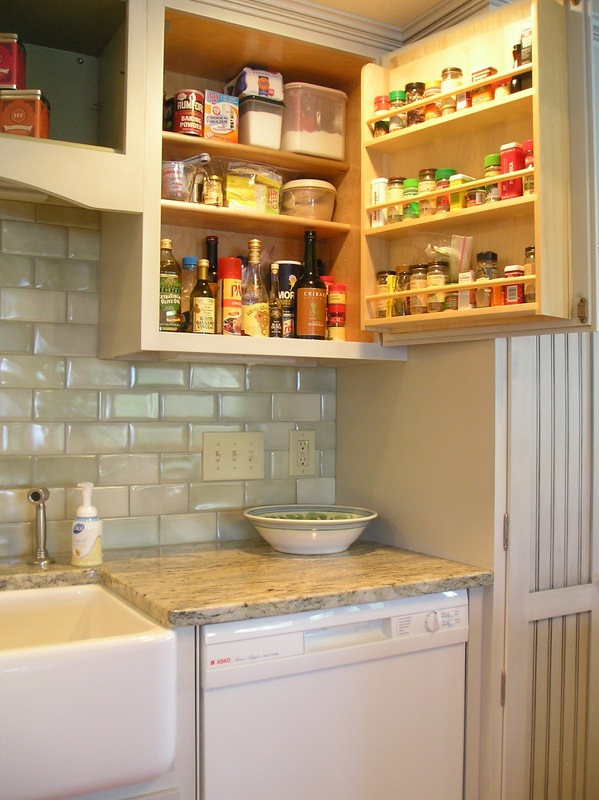 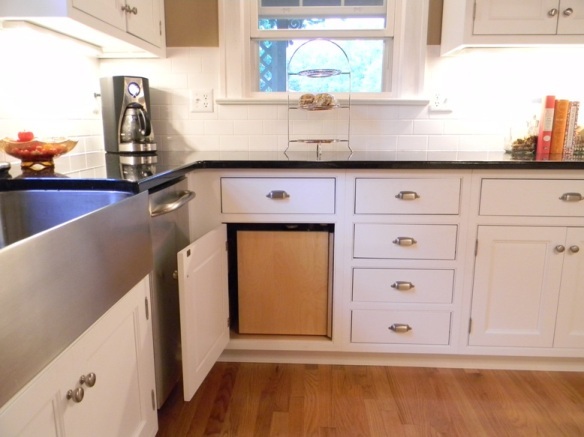 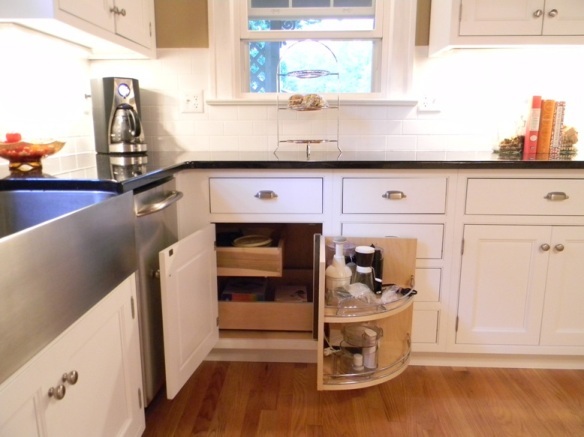 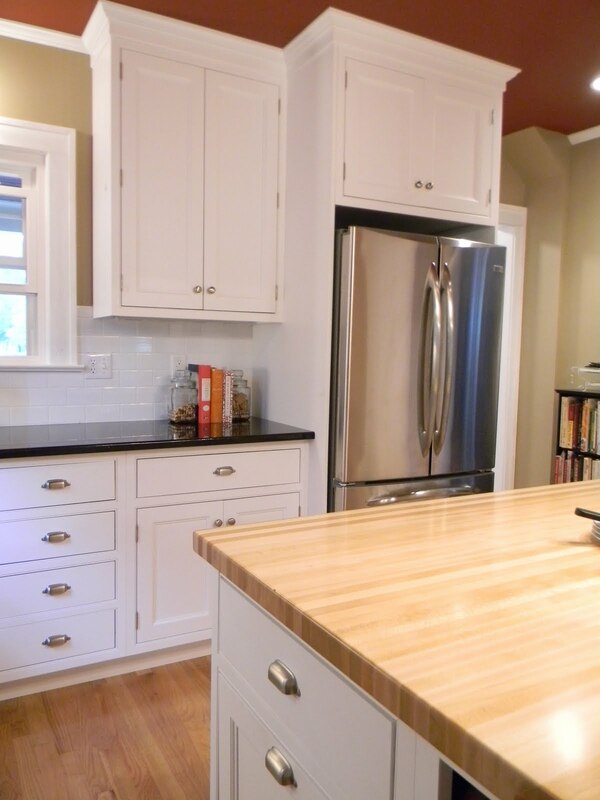 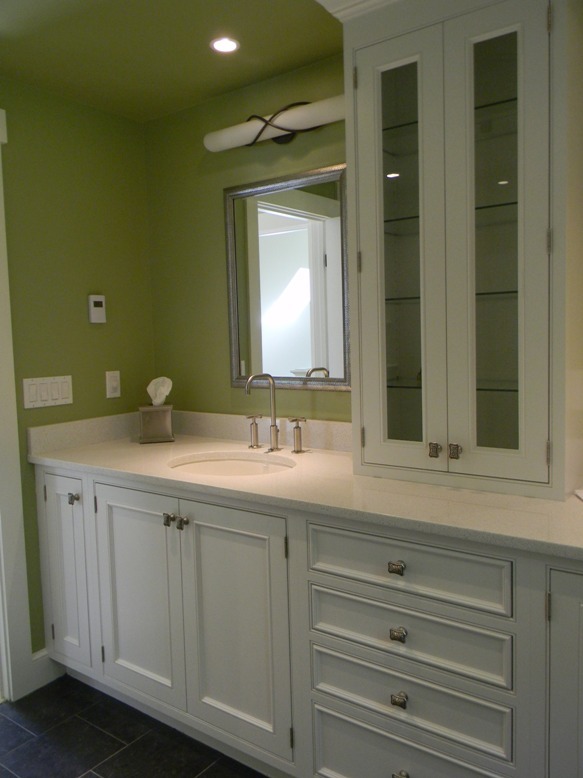 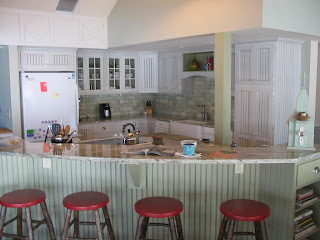 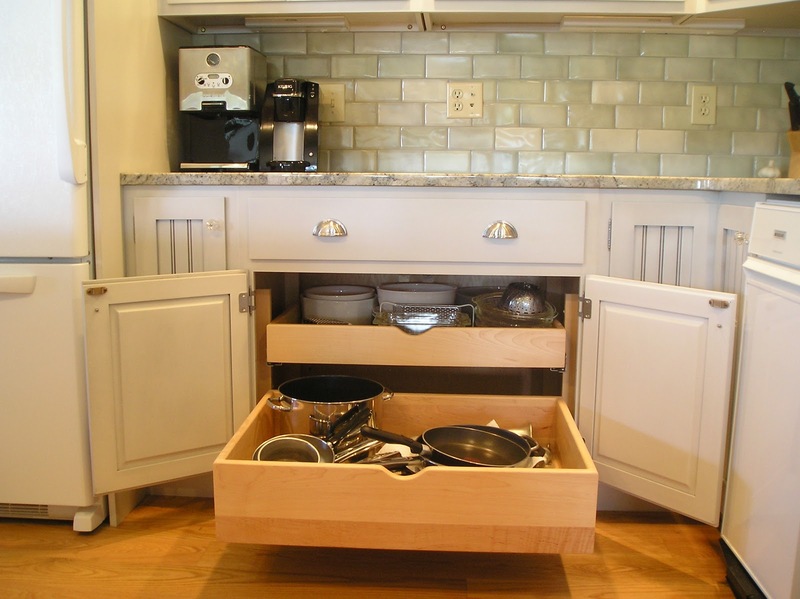 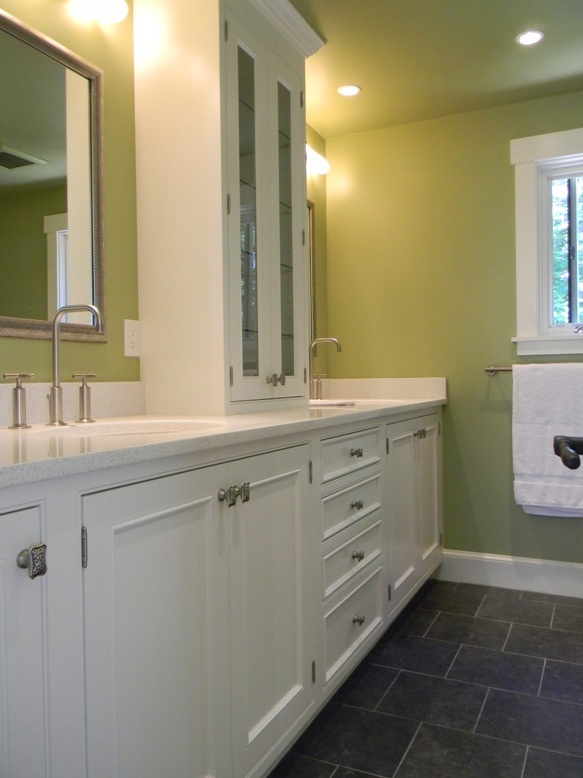 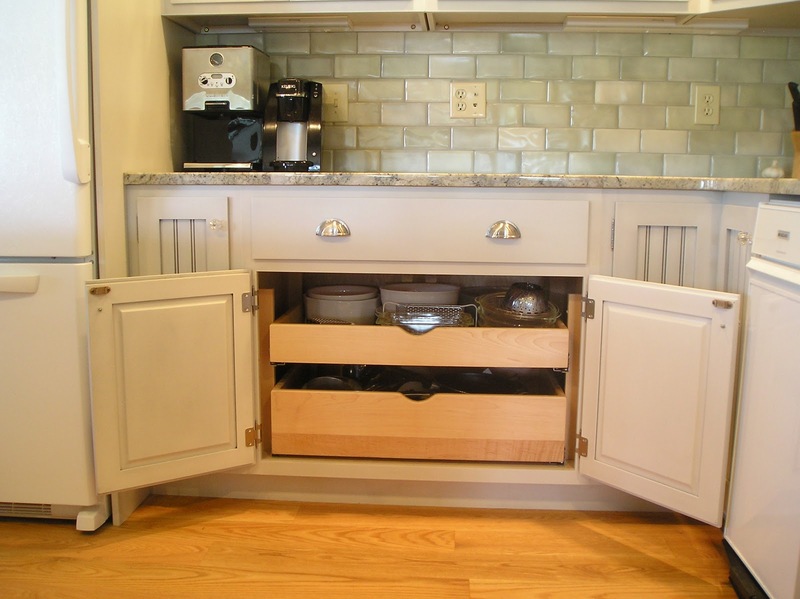 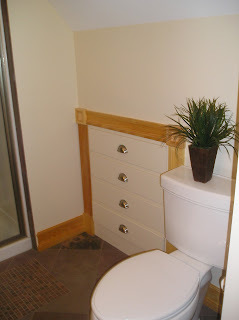 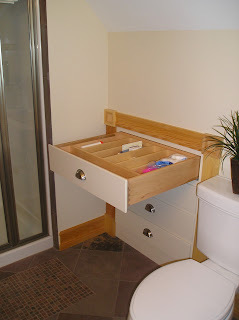 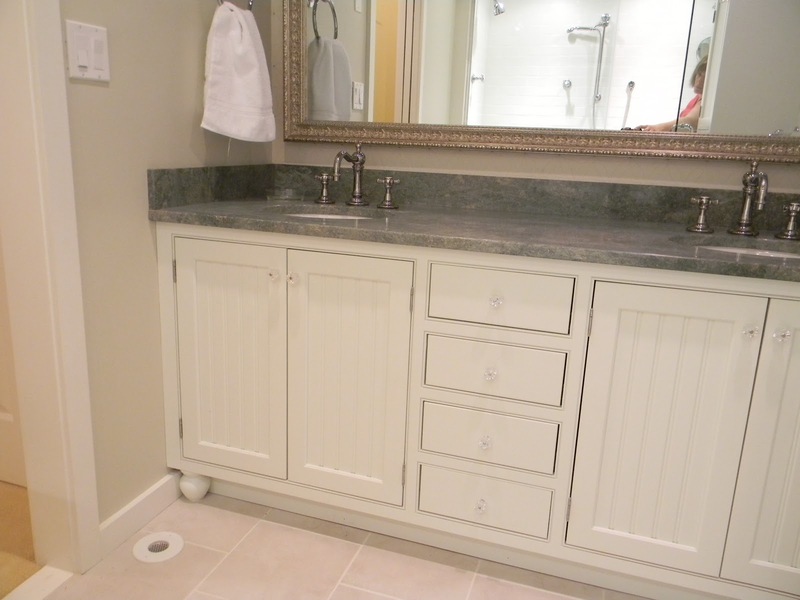 American Home Gallery can provide and install cabinets for your kitchen or bathroom. 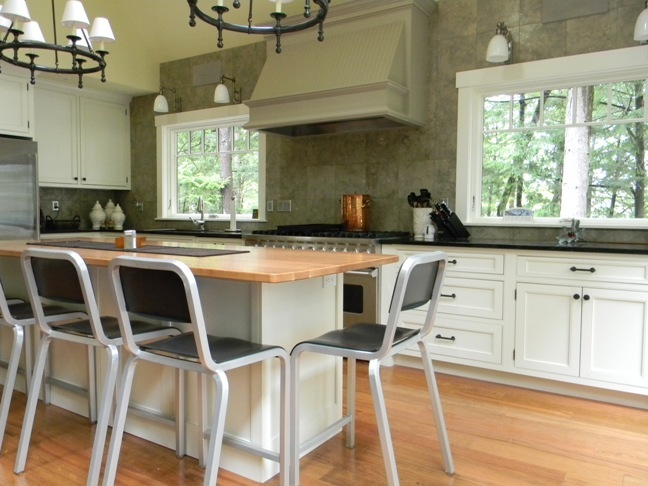 Here is a sampling of kitchens and bathrooms designed by Julie Fergus, ASID using our cabinet lines for custom solutions. Click on the photos to view slide show of larger images. Cabinets built-in to knee walls to maximize the dead space. 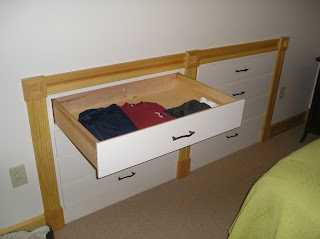 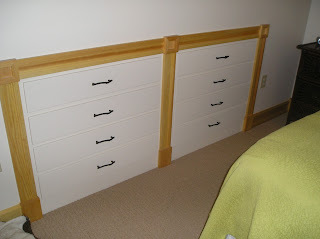 Drawers, drawers and more drawers. 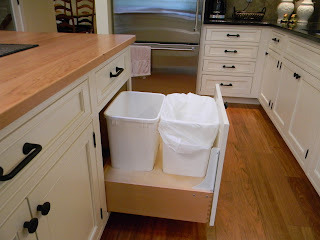 Double trash bins are good for trash and recycling. 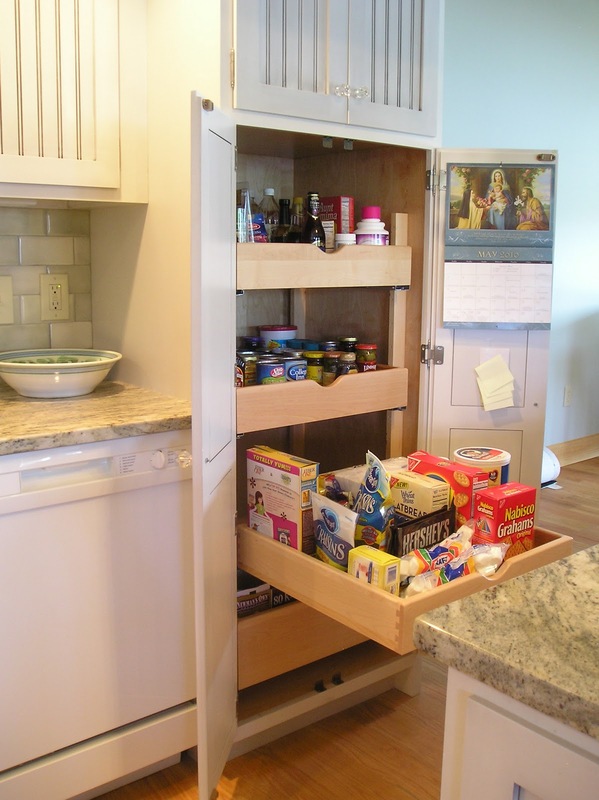 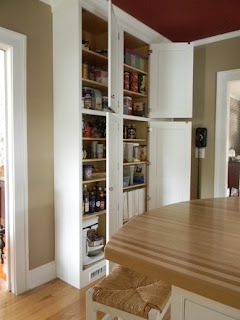 Floor to ceiling pantry cabinets with adjustable shelves to maximize space. 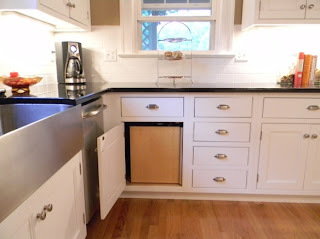 Wrap a free standing refrigerator with panels and cabinets. 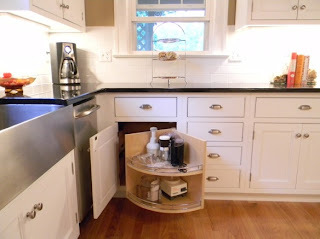 Island with lots of drawers and micro cubby. Spice rack on inside of door. 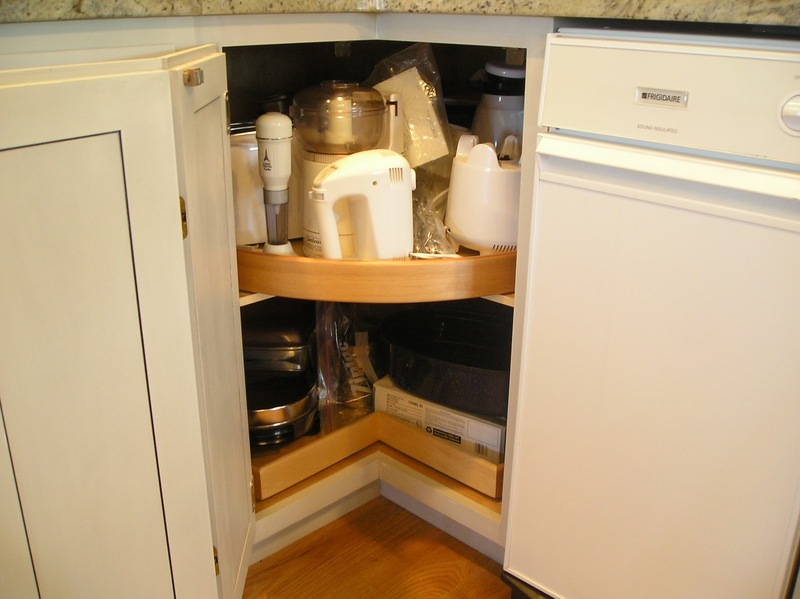 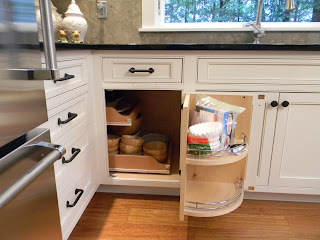 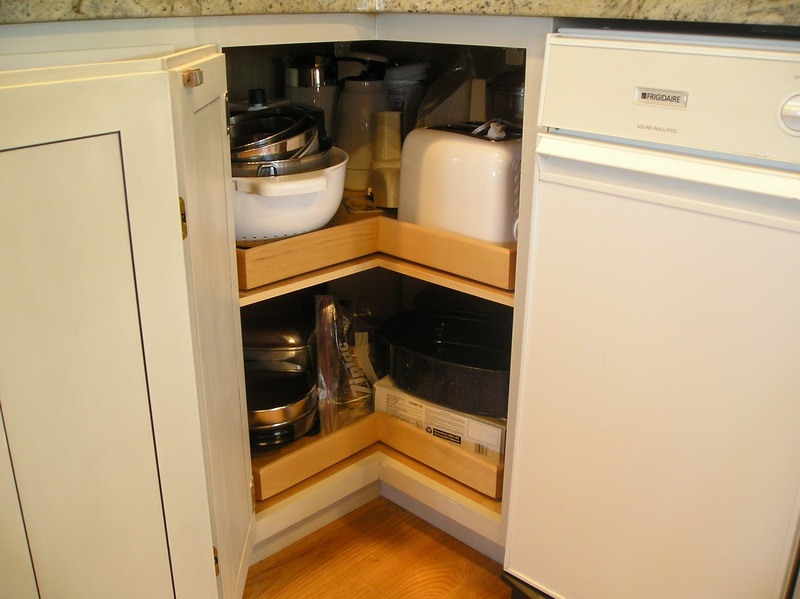 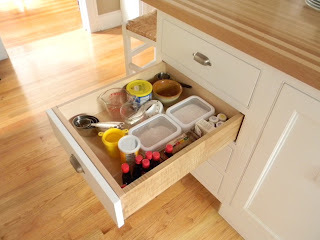 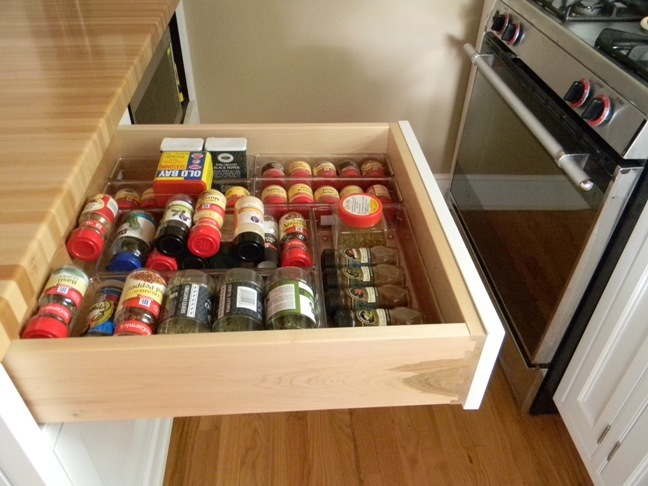 Lazy Susan is great for small appliance. 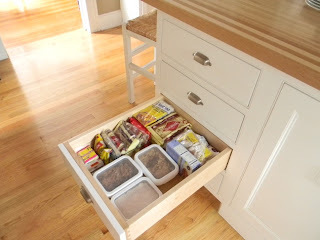 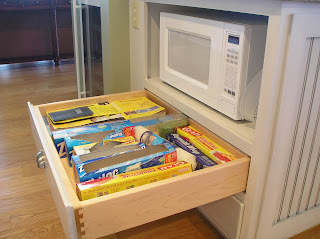 Drawers are great for all of your wraps. 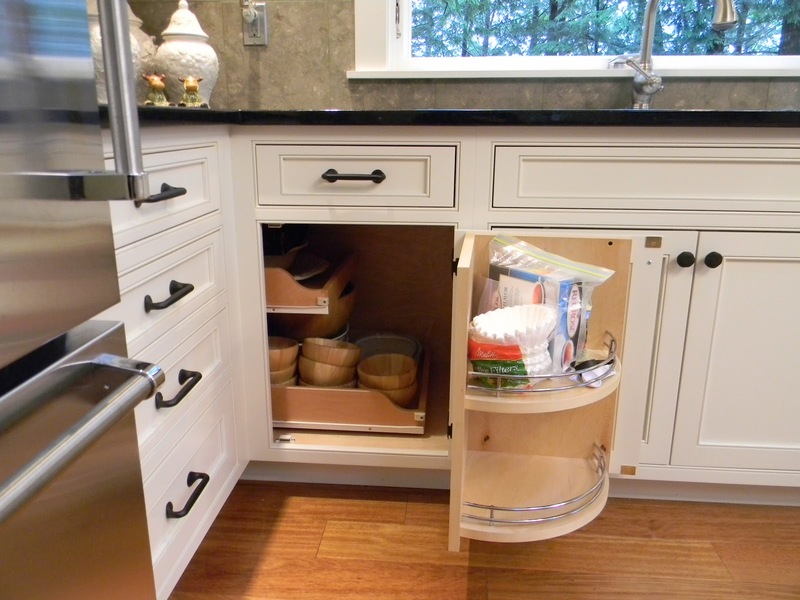 The Micro cubby is functional. 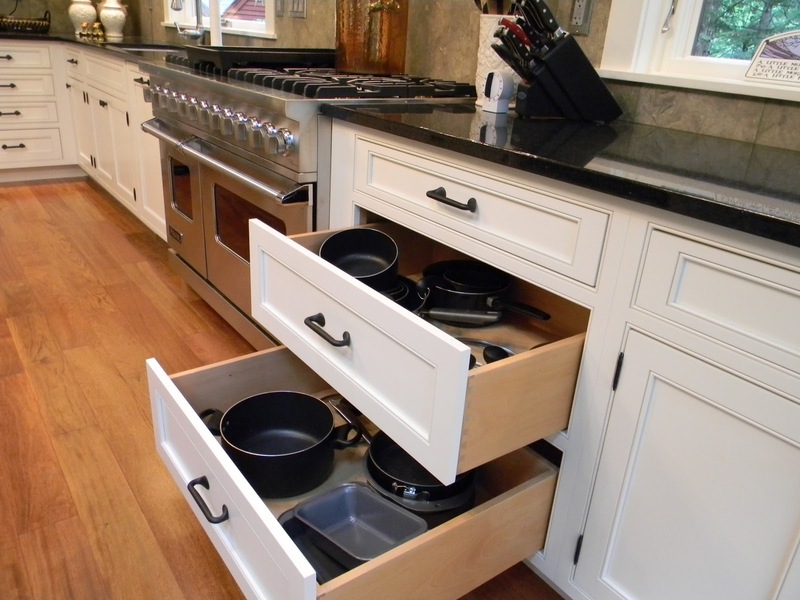 Roll-outs for pots and pans.